In late November last year I went on a day’s Advent retreat led by Brian Draper at St. Mark’s College, Saffron Walden, in the Essex countryside. Having begun to still my mind and spirit I opened my eyes and slowly looked around me. I gazed up at the sky and into the treetops; I peered into the bushes at the water’s edge and into the shallow depths of the water itself; I examined the detail of the twigs and leaves dangling in front of my eyes. It was all very pleasant and peaceful but, to be honest, nothing more. No word. No whisper. No thought. No sensation. Nothing. And then, suddenly – materialising before my eyes as if by magic – there appeared the reflection of the trees on the surface of the water, bright and crisp and clear. Indeed, I could see so much more in the reflection than I’d been able to see when looking directly at my surroundings – not just clearer, but wider and higher too. And it occurred to me that perhaps there are times when the truth of our faith, and the reality of God, and the length and breadth and height and depth of his love, is to be found not by peering into the heavens or gazing into the depths or examining the detail, but rather reflected on the surface of our lives and of our world. Paul told the church in Corinth that “now we see but a poor reflection” (1 Corinthians 13:12). 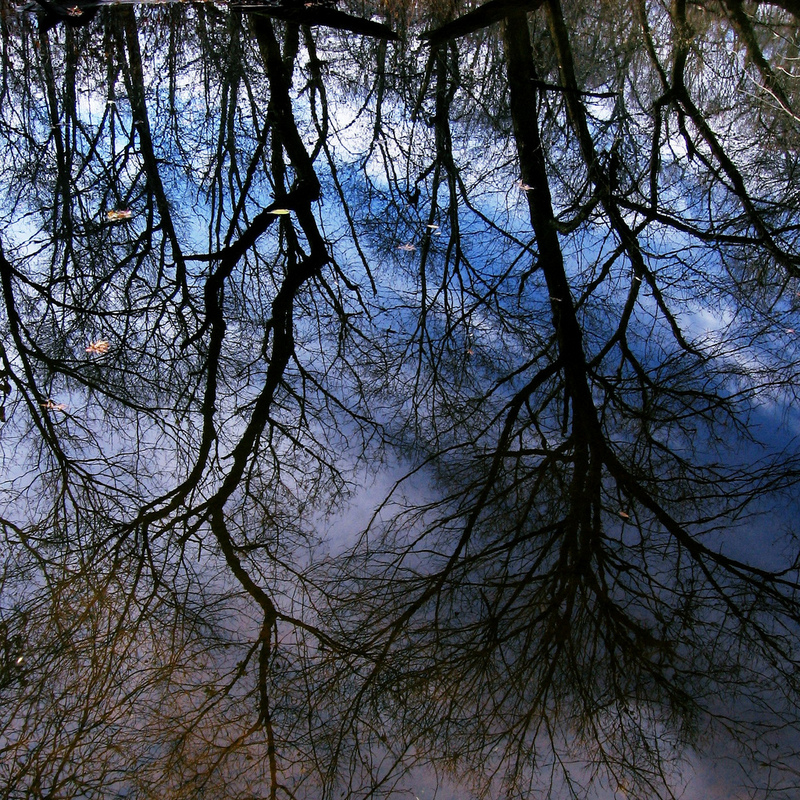 But perhaps such reflections – poor as they might be – might be the best way for us to see? As someone struggling with questions and difficulties and doubts, this was certainly an encouragement to me. Perhaps it might also be an encouragement to you? Image of Trees some rights reserved by Dendroica cerulea.